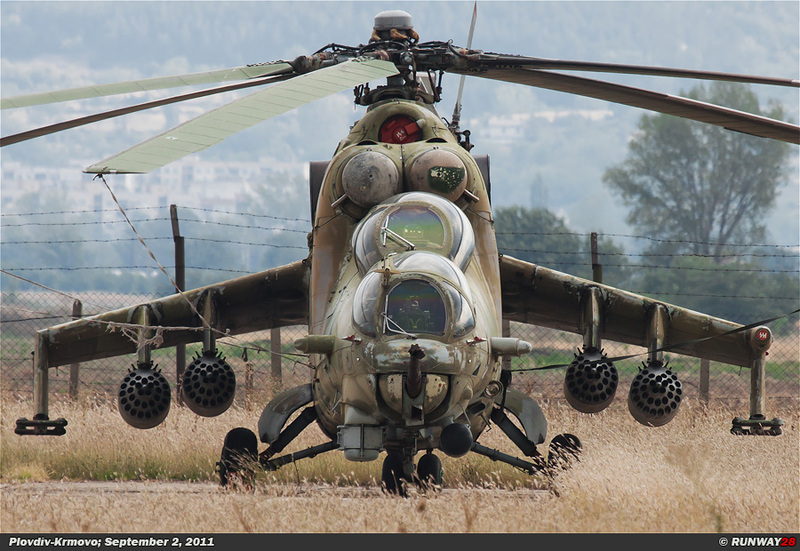 Bulgaria entered the Cold War in 1955 as a member of the former Warsaw Pact after a turbulent history. The Warsaw Pact was a military alliance of communist countries in Eastern Europe which existed between 1955 and 1991. 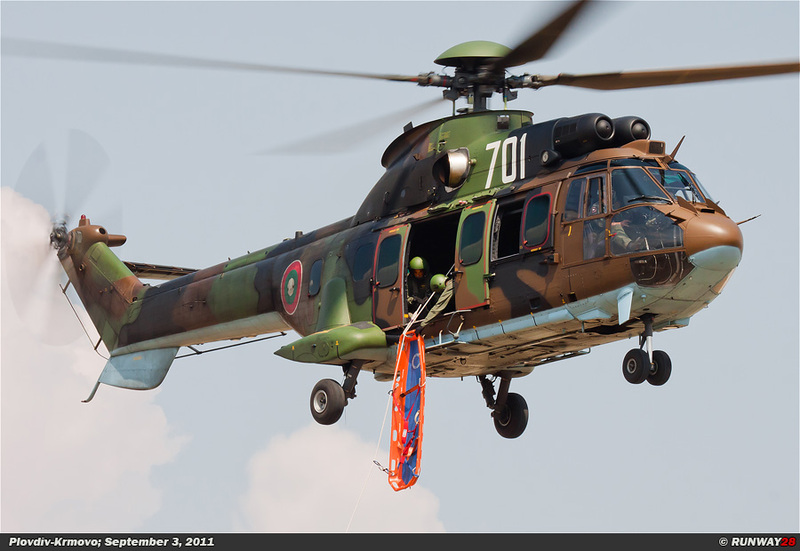 Since March 2004, Bulgaria became a full Member Nation of NATO. 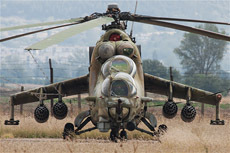 Shortly after World War II, Bulgaria received its first material which came from the Soviet Union. It was mainly propeller-driven aircraft such as the Ilyushin Il-2, the Ilyushin Il-10 and Tupolev Tu-2. 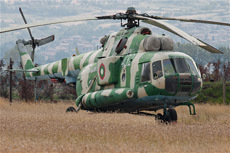 The Bulgarian Air Force was with the other military branches of the country changed to the Soviet model. 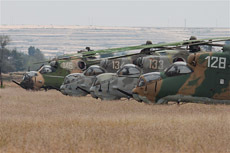 These old aircraft withdrawn from service in 1954. The beginning of the Korean War was seen as the start of the jet age. In 1955, Bulgaria joined the Warsaw Pact which was created at that time by the Soviet Party leader Nikita Khrushchev as a counterpart of the NATO. The treat was established on May 14, 1955 in the Polish capital Warsaw and it was signed by the Soviet Union, Albania, Bulgaria, Romania, the DDR, Hungary, Poland and Czecho- slovakia. This pact consisted of all communistic states in Eastern Europe with the exception of Yugoslavia. 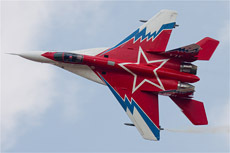 From 1955, the Soviet Union started with the provision of modern fighter aircraft. 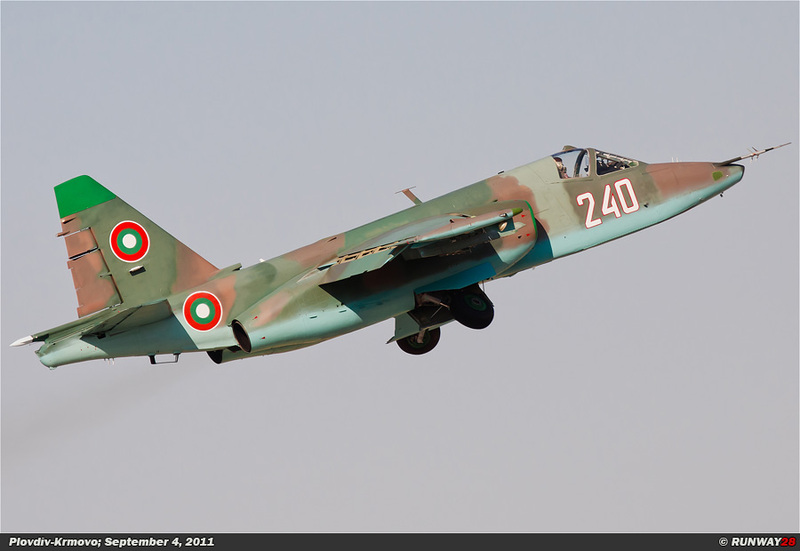 The Bulgarians received the MiG-15 (Микоян и Гуревич МиГ-15, NATO codename: Bassoon), MiG-17 (Микоян и Гуревич МиГ-17, NATO codename: Fresco) and MiG-19 (Микоян и Гуревич МиГ-19, NATO codename: Farmer) as the primary fighter aircraft. 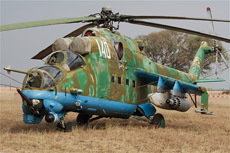 Beside the MiG's, there were also a number of Ilyushin Il-28 (Ильюшин Ил-28, NATO codename: Beagle) bombers and Mil Mi-1 (Михаил Миль Ми-1, NATO codename: Hare) helicopters purchased. 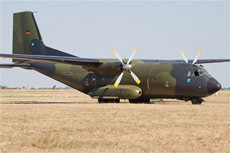 These aircraft served until the 1970s. 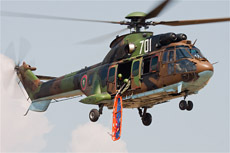 During this period the last wave of modernization began. Especially the attack fleet was expanded during this period. 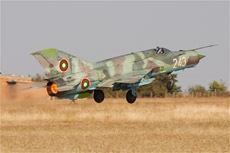 In total, the following aircraft purchased in the 70s and 80s; 224x MiG-21 (Микоян и Гуревич МиГ-21, NATO codename: Fishbed), 90x MiG-23 (Микоян и Гуревич МиГ-23, NATO codename: Flogger), 4x MiG-25 (Микоян и Гуревич МиГ-25, NATO codename: Foxbad), 22x MiG-29 (Микоян и Гуревич МиГ-29, NATO codename: Fulcrum), 22x Su-22 (Сухой Cy-22, NATO codename: Fitter ), 42x Su-25 (Сухой Cy-25, NATO codename: Frogfoot), 26x Mi-17 (Михаил Миль Ми-17, NATO codename: Hip) and 45x Mi-24 (Михаил Миль Ми-24, NATO code name: Hind). 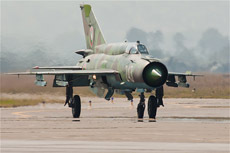 The Bulgarian air force was reduced to 226 aircraft at the end of the Cold War. 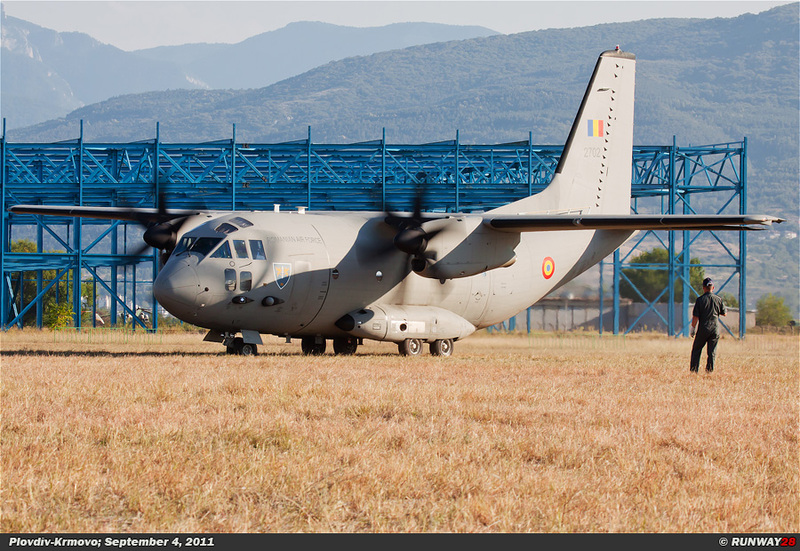 The air force struck in the upcoming years into disrepair. 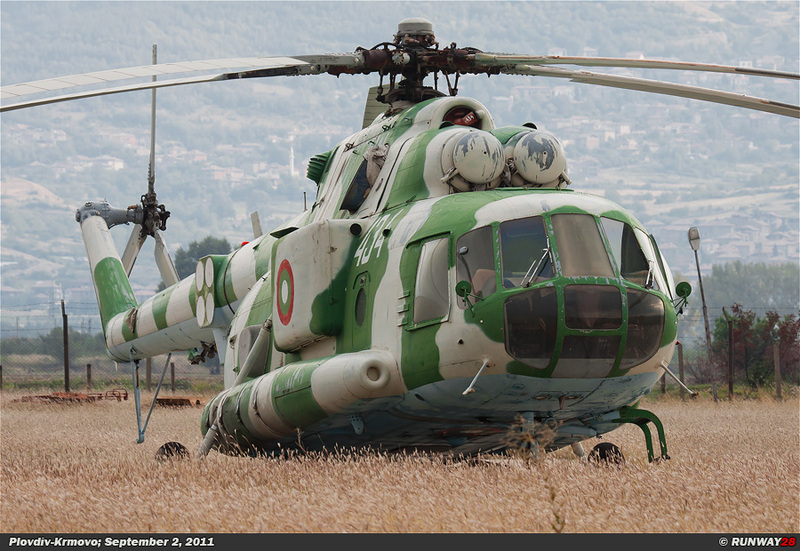 The glory days of the Bulgarian Air Force were finally passed by a lack of money to maintain all these aircraft. 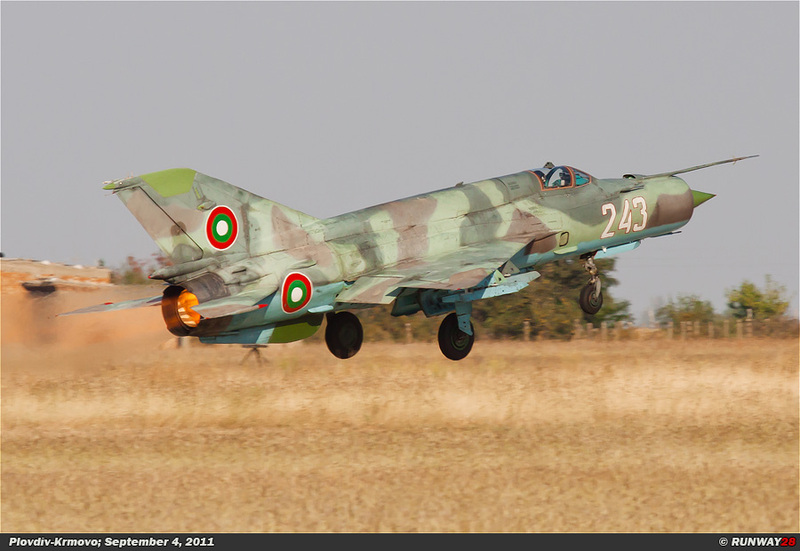 A big part of the MiG-21 fleet was taken out of service. 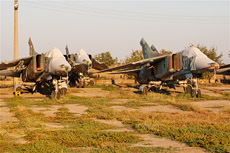 The planes were put in storage and most of it was scrapped. 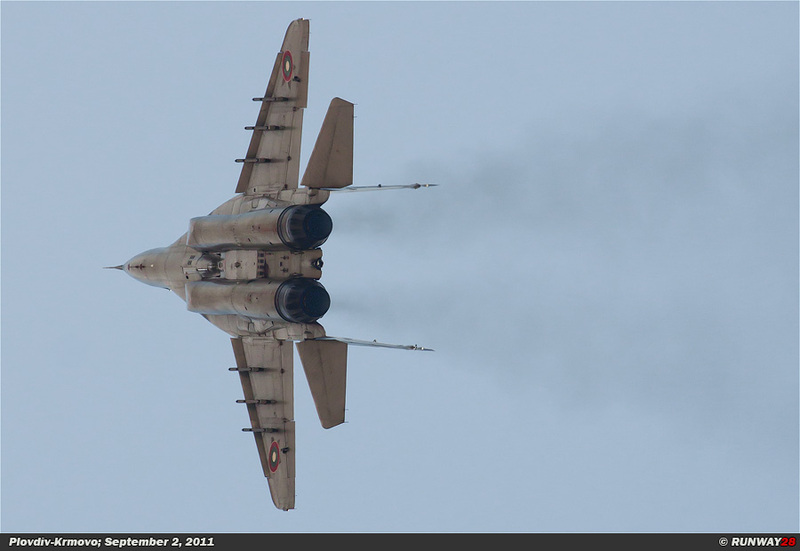 The armament of the dual versions of the MiG-21 and MiG-23 was removed. 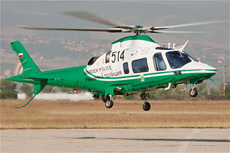 In 1998, four of the Bulgarian airfields closed. These fields were; Gabrovnitsa, Balchick, Uzundzhovo and Shtraklevo. In 2000, also Stara Zagora closed. 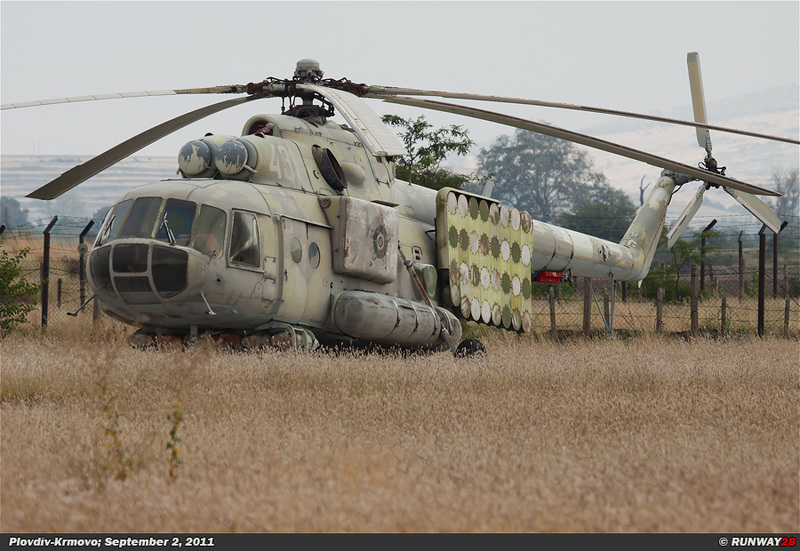 This airfield was until then an operational Mi-24 airbase. 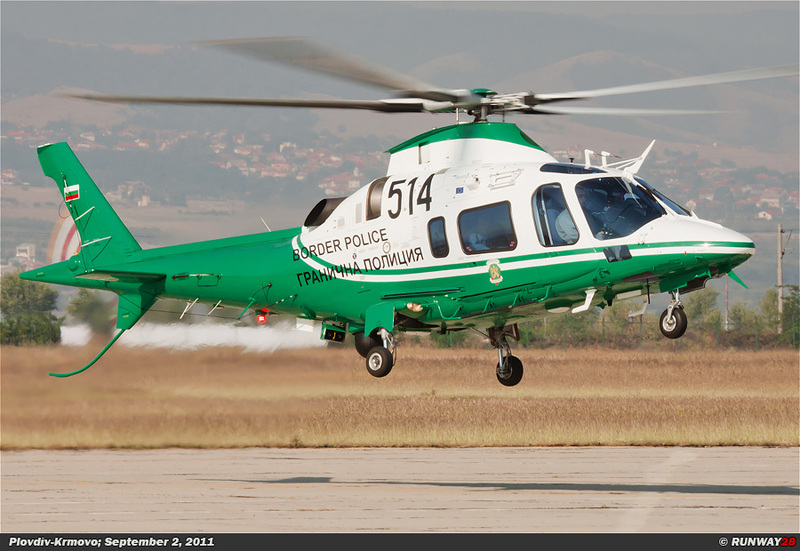 The helicopters then moved to Plovdiv. 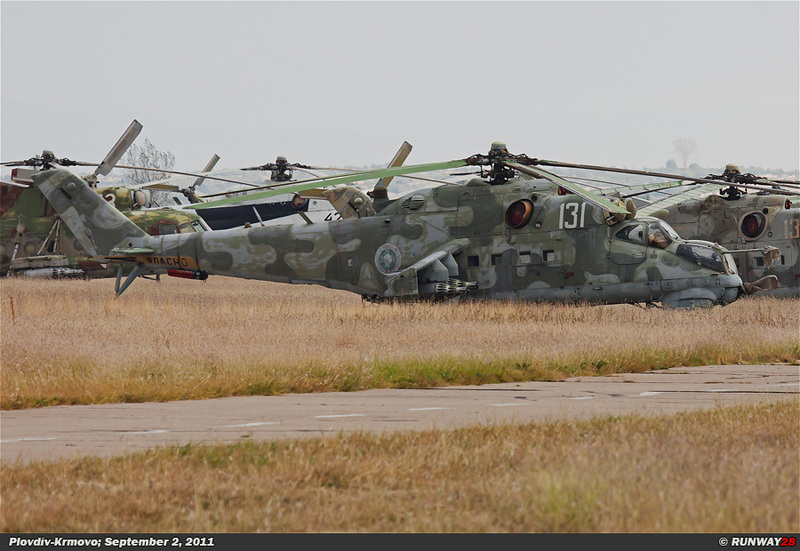 In 2001, another 3 airfields were closed, namely; Dobrich, Ravnets and Cheshnegirovo. 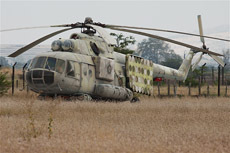 The last airfield which was closed was Dobroslavtsi in 2003. 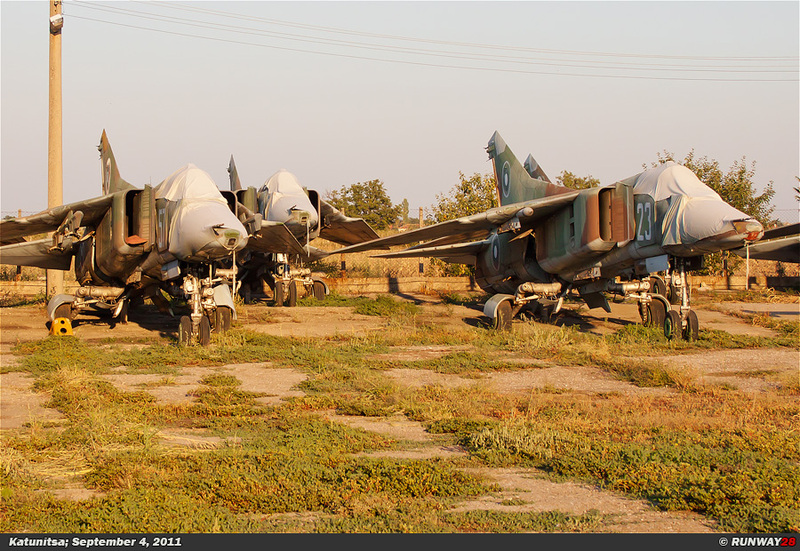 The MiG-23's from this base were also immediately withdrawn from service. 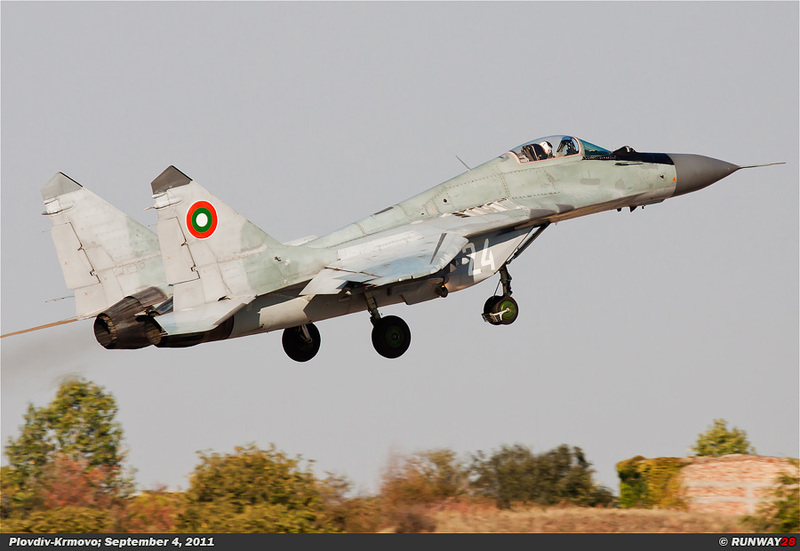 They decided to keep the older MiG-21 into service because it was cheaper to maintain than the MiG-23. In February 2004, the Su-22 phased out. This unit was currently stationed at Bezmer. The Mi-24 has been phased out due to lack of funds. 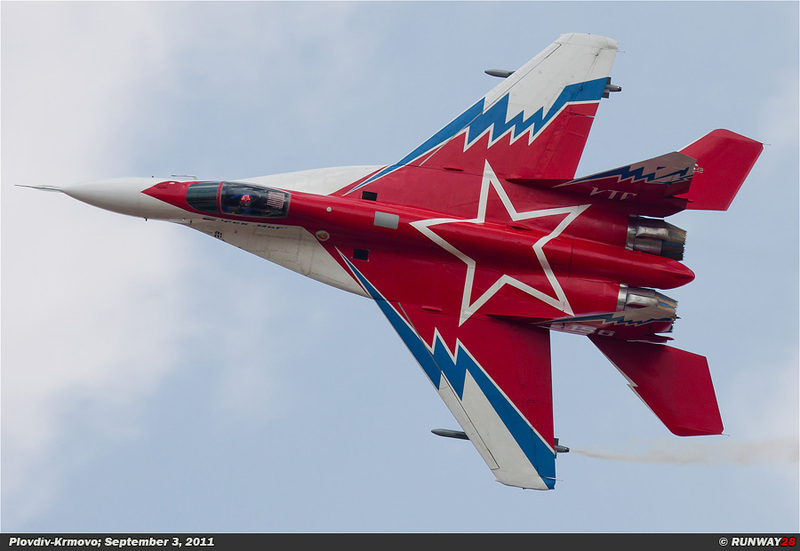 It was difficult for the Bulgarians to keep the aging Russian aircraft fleet operational in the recent few years. 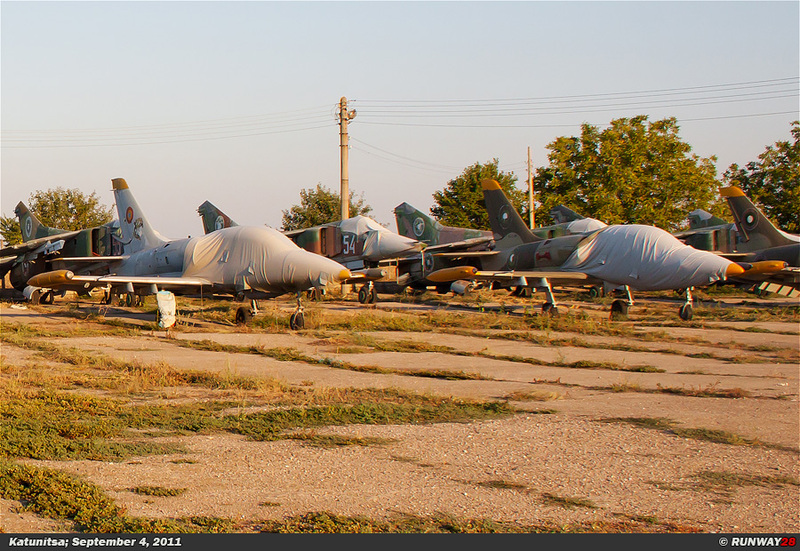 There are only five remaining airfields since the Soviet era. 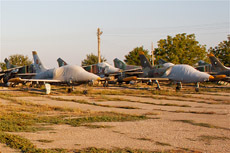 The first airfield which is still operational is Graf-Ignatievo. 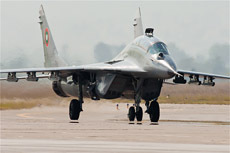 The MiG-21 and MiG-29 fighter aircraft are based at this airbase. 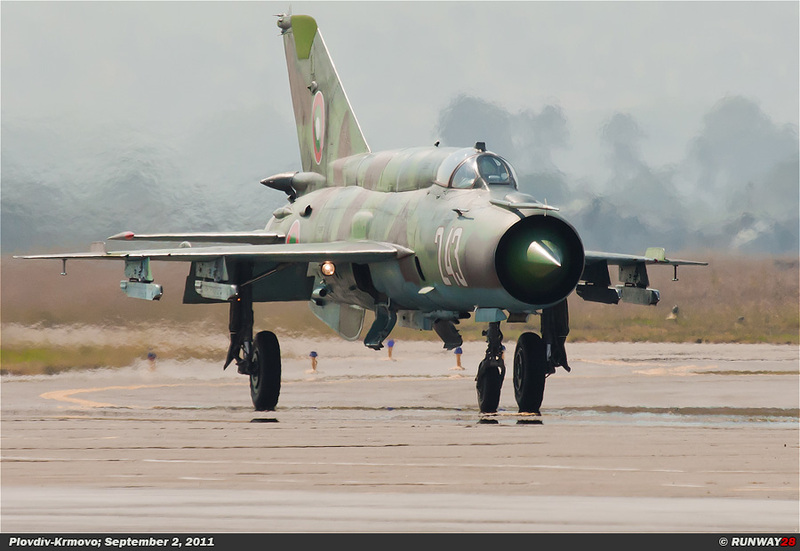 Graf-Ignatievo is the 3th Fighter Air Base of the Bulgarian Air Force. 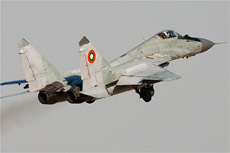 The Wing has 13 MiG-21s in service with the 1/3 Fighter Squadron and 16 MiG-29s with the 2/3 Fighter Squadron. 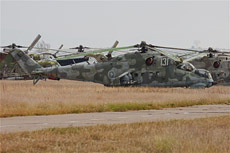 The second airfield is the 12th Training Air Base Kamenets. 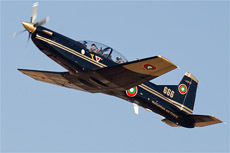 At this airfield 6 PC-9s are based which are assigned to the 1/12 Training Squadron. 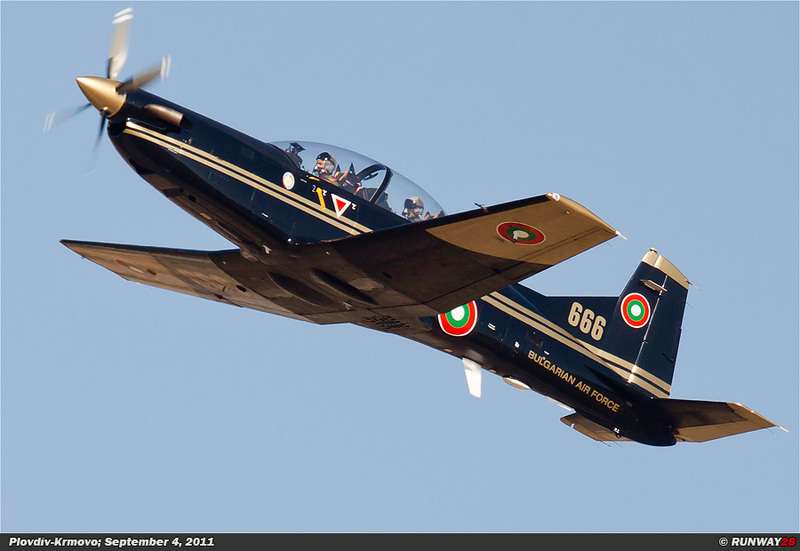 The unit also had 12 L-39 Albatross trainers, but they are phased out. 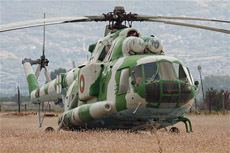 The third airfield is the 16th Transport Air Base Vrazhdebna. 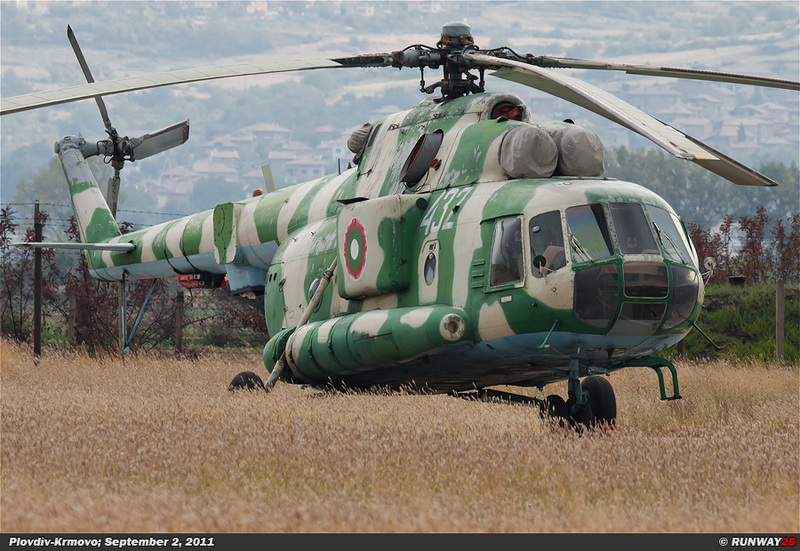 The entire Bulgarian transport fleet stationed at this base. 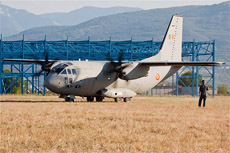 The field is located on the military side of Sofia International Airport. The 1/16 Transport Squadron flies; 3x the C-27J Spartan, 1x the An-24 Coke, 1x the An-26 Curl, 1x the An-30 Clank, 2x the Let L-410 and 1x the An-2 Colt. 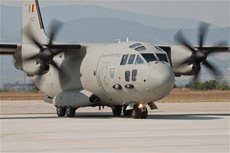 The fourth airport is the 22nd Attack Air Base Bezmer. This base is home to the Bulgarian Su-25 Frogfoot fleet. 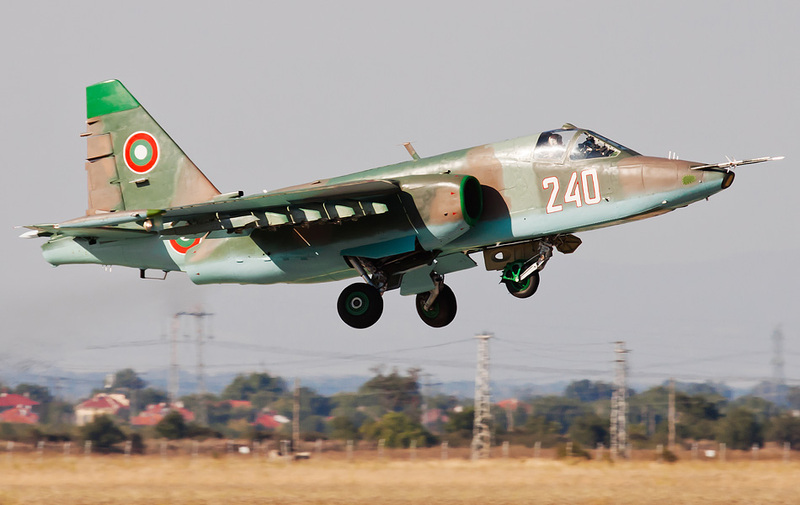 The 1/22 Attack Squadron is operational with 20x the Su-25K Frogfoot and the 2/22 Attack Squadron is operational with 3x the Su-25UBK Frogfoot. The expectation is that the Frogfoot will be phased out in 2013 or 2014. 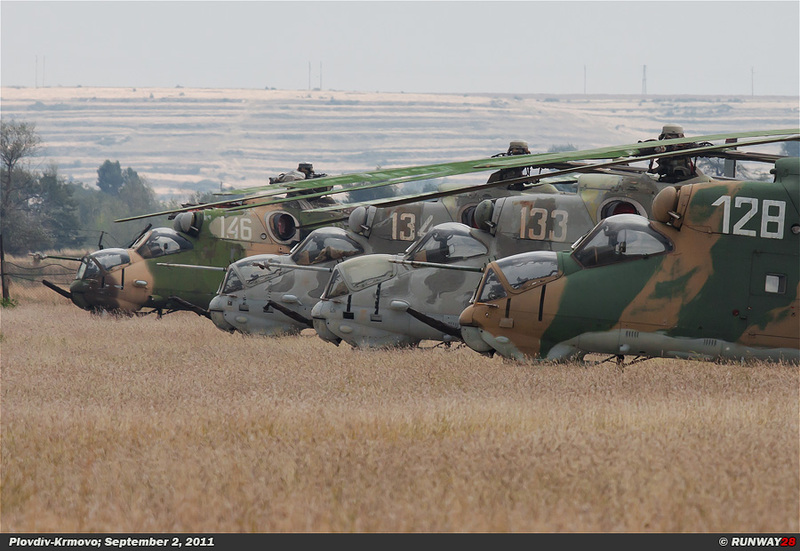 The question is if Bezmer is the next airfield that will be closed. 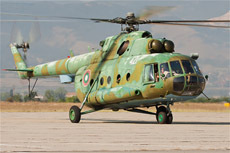 The fifth and last Bulgarian airbase is the 24th Helicopter Air Base Plovdiv/Krumovo. 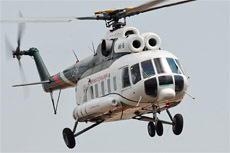 The Bulgarian helicopter fleet is stationed at this base. 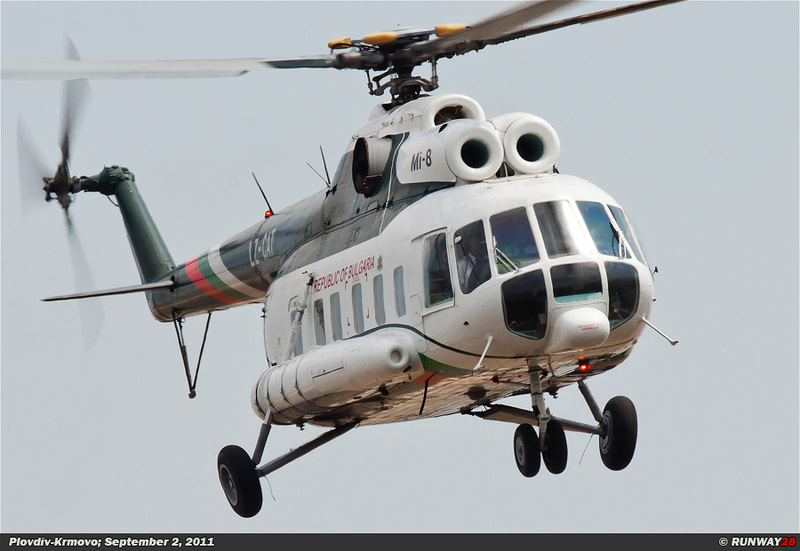 The 2/24 Transport Helicopter Squadron flies 6x the Mi-17 Hip, 12x the AS532 Cougar and 6x the Bell 206. 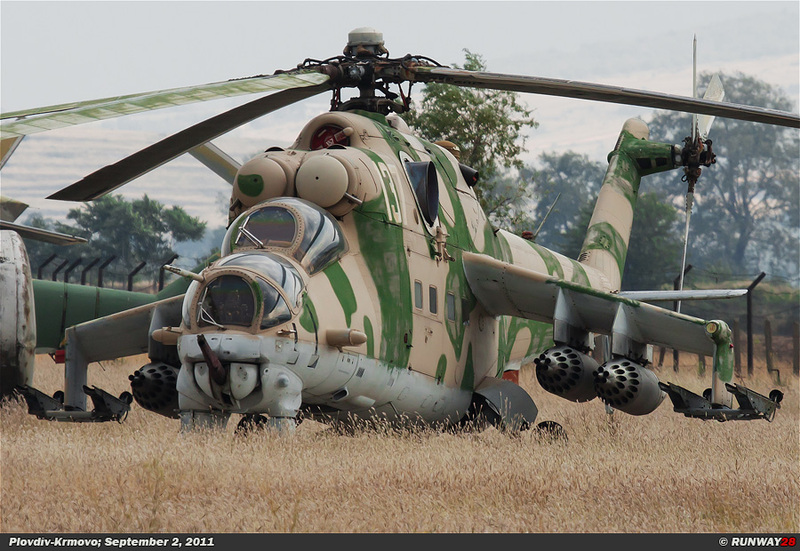 The Mi-24 Hind helicopters of the 1/24 Attack Helicopter Squadron were phased out 2 years ago. 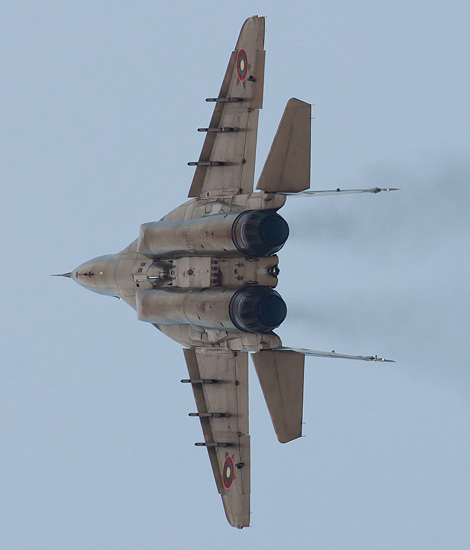 The Bulgarian fighter fleet is mainly consisting of Mig-21s, MiG-29s and Su-25s. 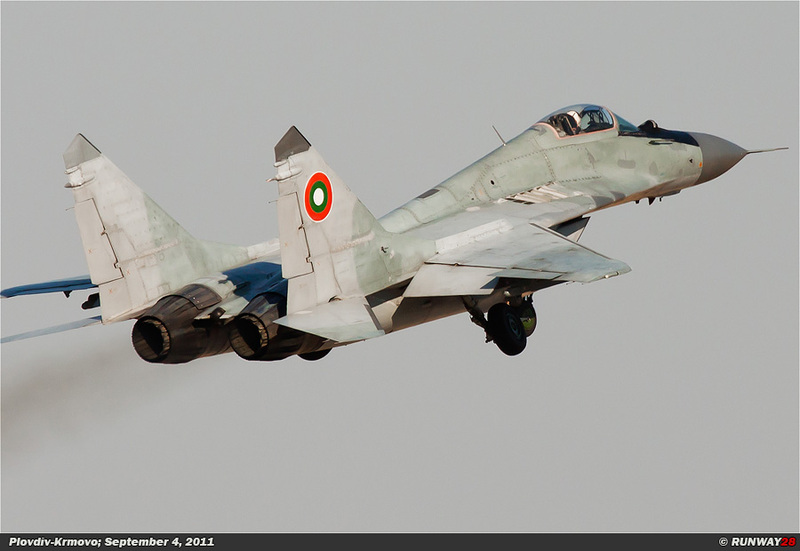 The MiG-29 has now been upgraded and is fully updated to the NATO standard. 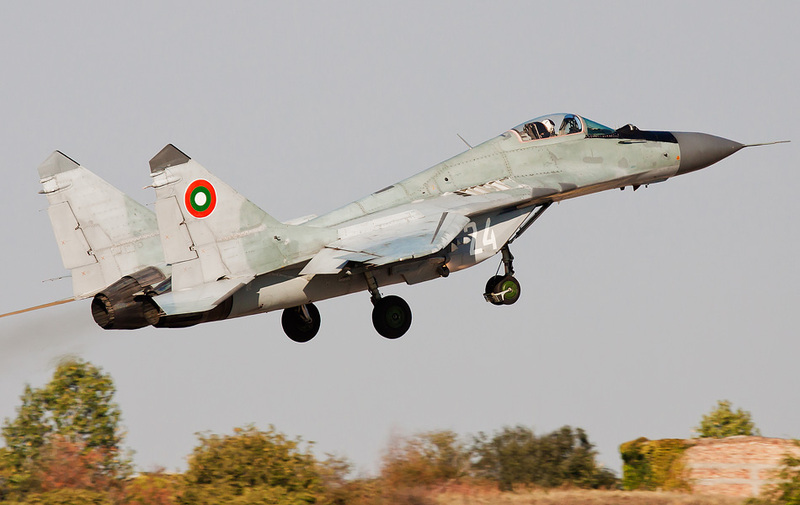 The Bulgarian government is looking for 8 new multirole fighter aircraft since January 2011. 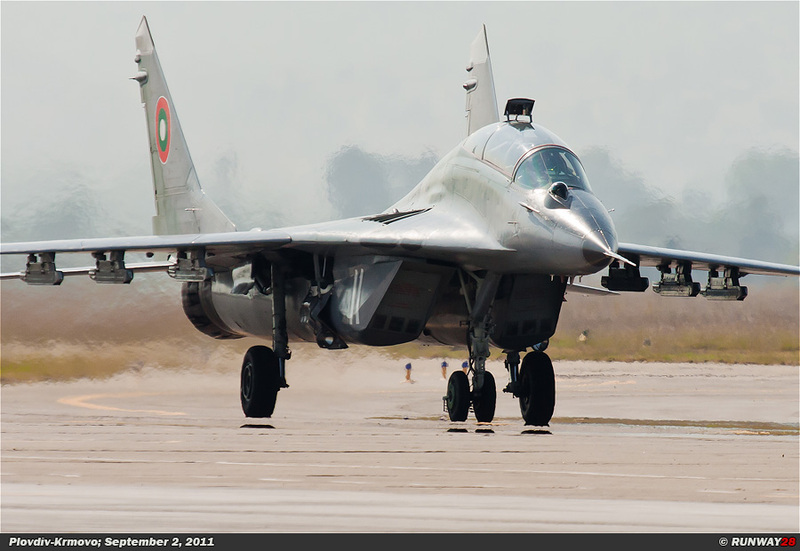 Whether this aircraft will replace the MiG-21 or Su-25 is not yet clear. 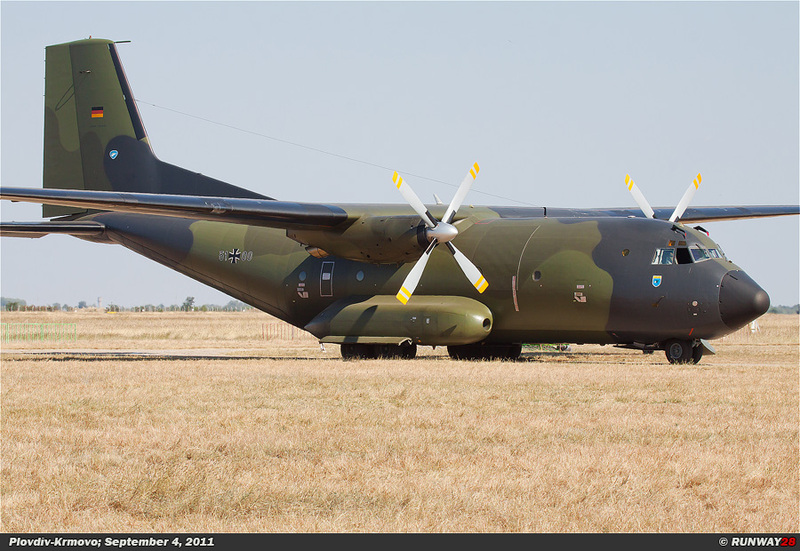 The new aircraft will find their accommodations probably at Graf-Ignatievo, and Bezmer will close its doors by then. 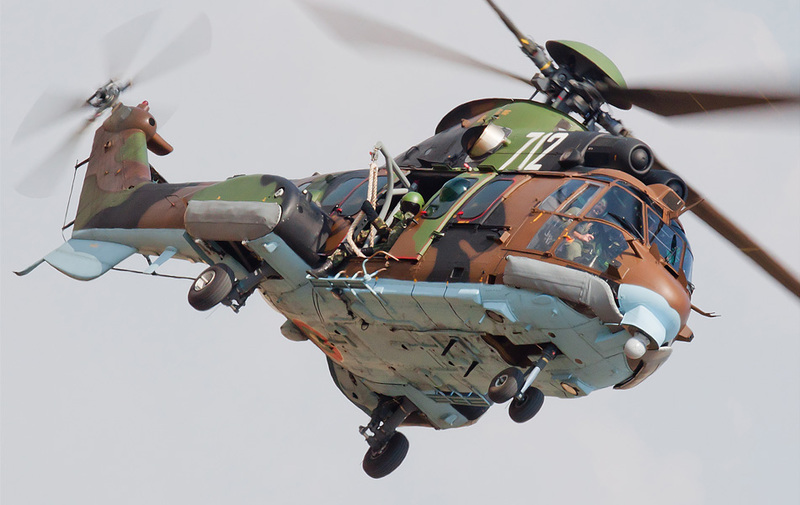 The main competitors for the supply of these 8 aircraft are; the Eurofighter Typhoon, the Saab Grippen, the Dassault Rafale and the Lockheed Martin F-16. 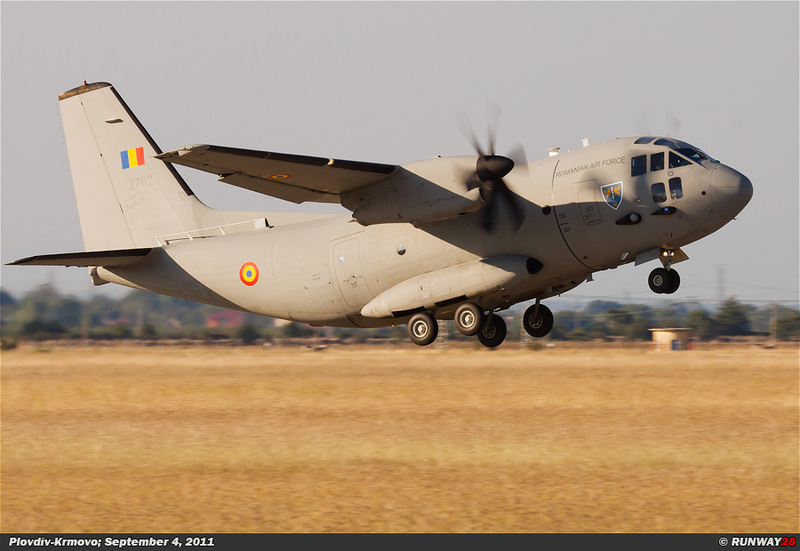 The Bulgarian government signed a contract for the supply of 5 C-27J Spartan transport planes in 2006. 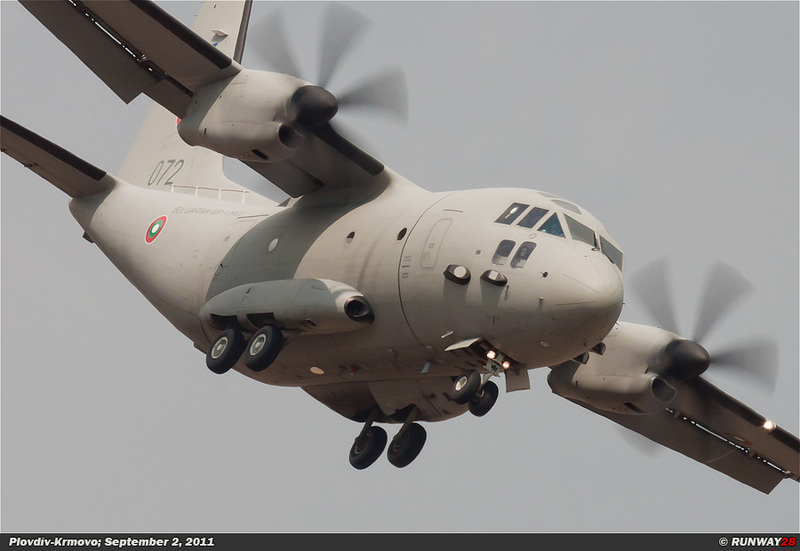 These aircraft need to replace the old An-24 and the An-26. 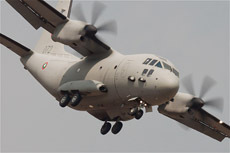 The first Spartan arrived in 2007. The contract was changed to a volume of 3 planes. 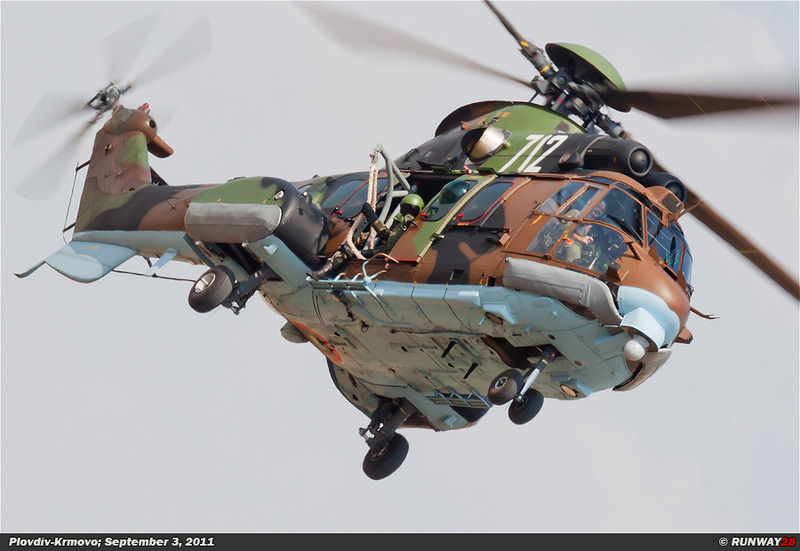 12 Cougars were purchased to replace the Hinds in 2005. 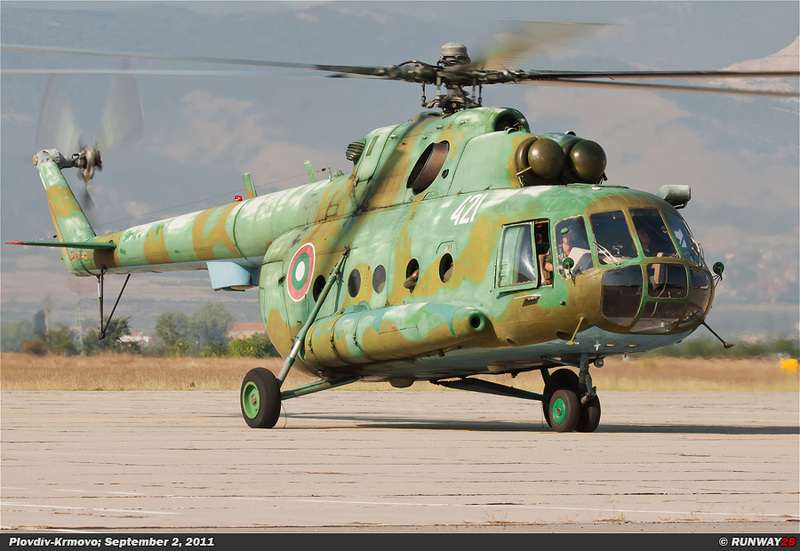 The Bulgarian air force has shrunk considerably in the recent years. 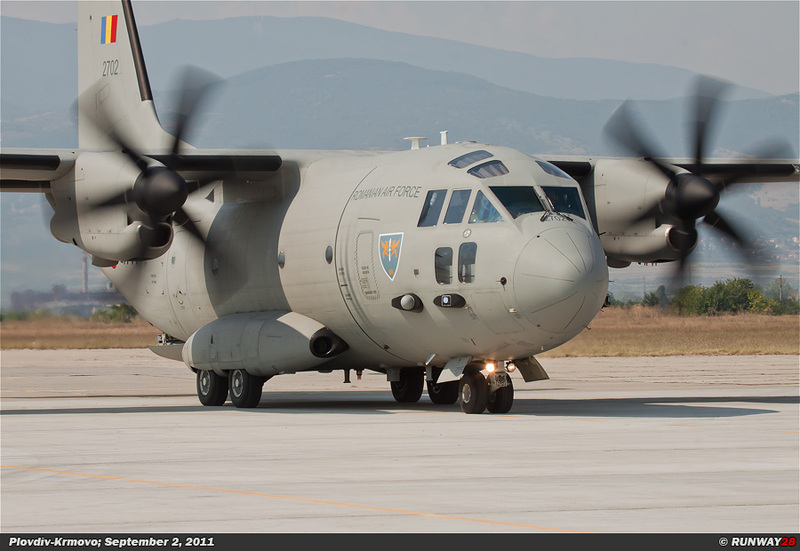 The Air Force operates with a much smaller but more tactical aircraft fleet that meets the NATO standards. For the rest, the country shows many traces and memories of the Cold War.